I got back from my 3-week trip to England on Wednesday. Yesterday, I was at the grocery store at 5:30AM! I guess it’s going to take a few days to get over jet lag. For a quick initial trip report, I chose five of the many hundreds of photos that I took to represent some of the big themes of my trip. Food. Fish and chips and many other good things. I took many photos to use in upcoming Weekend Cooking posts. Steam engines. We saw engines in three museums, but this was the culmination — the oldest steam engine in the world that is still doing the job it was designed to do. 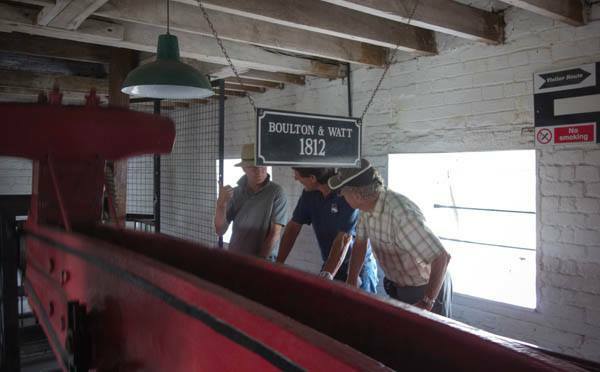 We saw it in action at the Crofton Pumping Station. Bells. I listened to bells every Sunday morning, plus a rehearsal on a Tuesday evening. 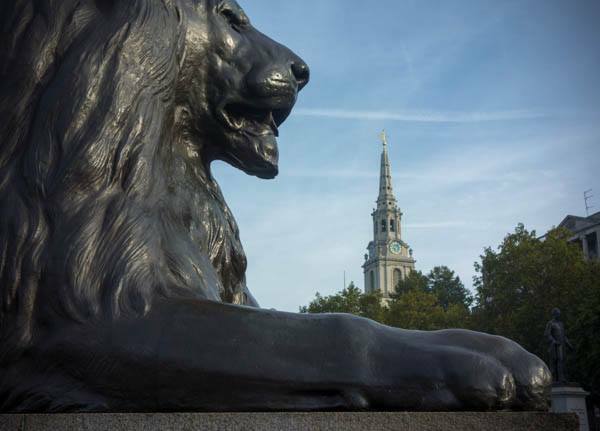 This photo of a Trafalgar Square lion in front of the St. Martin-in-the-Fields steeple was taken while I was listening to the bells. Code-breaking. 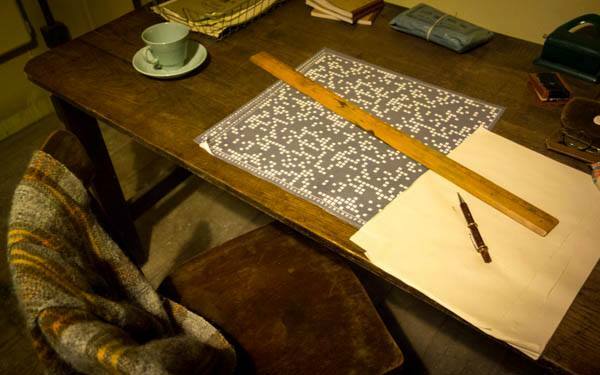 This scene was at Bletchley Park (I loved the ubiquitous tea cup). I visited Bletchley on the same day that one of the characters in the book I was reading did — Cryptonomicon by Neal Stephenson. I also discovered, in the Sunday newspaper, a fun pen-and-pencil game called Codewords. Longitude. Straddling the Prime Meridian before we saw the 300th anniversary exhibit about the Longitude Act of 1714 and listened to a conversation with the current Astronomer Royal. I’ll also link this post to Saturday Snapshot, the weekly gathering of photo posts at West Metro Mommy Reads. Stay tuned for more photos from my trip in the coming weeks. Oh how my husband misses mushy peas. It’s almost worth a trip back for. Then again we left the UK for a reason. Sounds like you had a wonderful trip, I’m looking forward to hearing more. Can’t wait to see all your English posts! 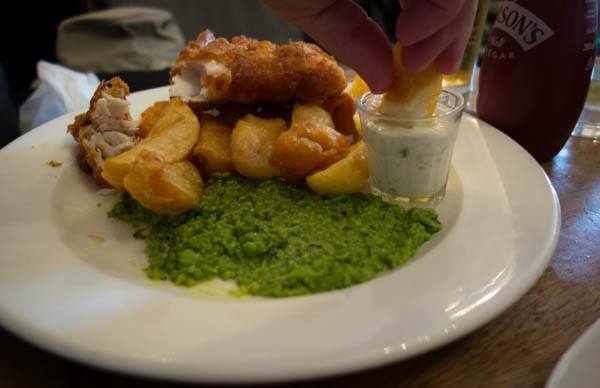 Fish, chips and mushy peas …. mmmmmm ….. Can’t wait to see all your culinary photos! Rob was so excited to have fish and chips and then was unimpressed because he makes better. Oops. He loved the shepherd’s pie he had, however. I can’t wait for more pictures. I want to see codewords too. Love all your photos, Joy! Particularly that shot of Trafalgar Square! Great composition! What fun pictures. Sad that your trip is over already- I’m sure it was great- can’t wait to see and hear more about it. I enjoyed today’s beautiful photos. Your composition of the lion with the spire in the background is inspired. I can almost hear those bells! I’m looking forward to more pictures from your trip. Here’s the link to my snapshots: Cinque Terre. Love the photo of the lion with the steeple in the background. I swear I can hear the bells! What lovely photos. You certainly got around. I particularly like the one of the Trafalgar Square lion. That is such a clever shot. Love your photos. Make me want to revisit soon. Just curious, do they wrap fish and chips in newspaper still? I mean those that are not in a sit-down restaurant. I had fish and chips wrapped in paper at a Living History museum. I didn’t see it elsewhere, but I didn’t make it to any food markets, so it’s possible that it still happens in those venues. Gorgeous photos! I love fish and chips and enjoy partaking of anything that resembles the customary English fare. After my son had spent time there, he took me to a place near here that serves similar fish and chips. Thanks for sharing…and for visiting my blog. Hooray, I can’t wait to hear more about your trip! I love the photo of the lion. I miss hearing bells. I love the Trafalgar Square pic – so glad you heard some bell ringing this trip! 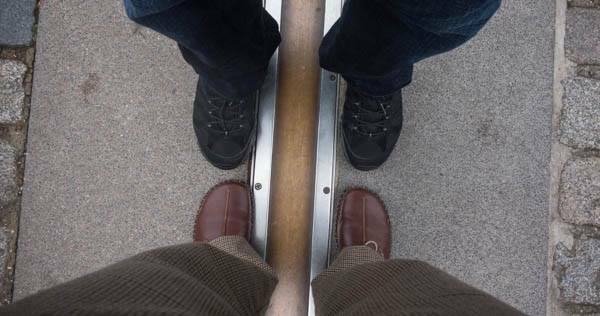 Greenwich meridian is also fascinating. I had a day there in 1991 which was 500 yrs since Henry VIII had been born or died – it was a buzz with history & significance. Great photo’s thanks for sharing. That photo of the fish and chips is making me very hungry. Have a great week and thanks for stopping by my blog. Sounds like you had a great trip. I love that lion photo.